Bellingham is a large city in northwestern Washington state with a population of nearly 90,000. Located on Bellingham Bay, it is the county seat and largest city in Whatcom County. It is about 55 miles south of the city of Vancouver, British Columbia, and 90 miles north of Seattle, Washington. 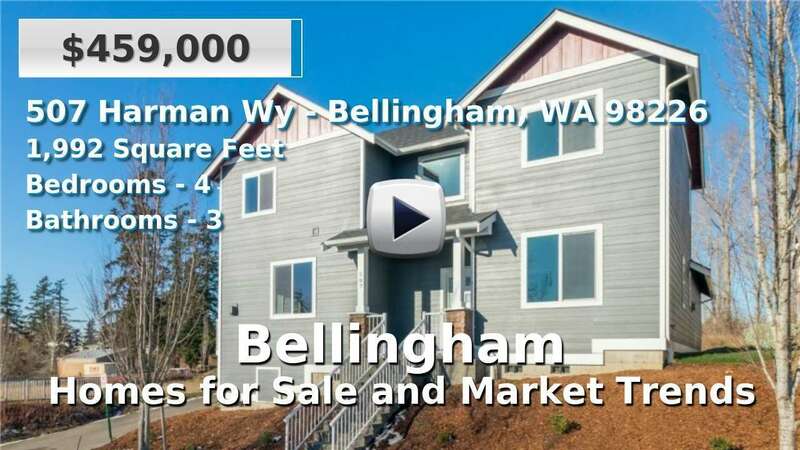 Homes for sale in Bellingham are from a mix of new, urban areas with condominiums and apartments and the more suburban neighborhoods with both new and older houses. The average commute here is less than 20 minutes, suggesting that many residents both live and work here. Bellingham is proud of its large park system, many businesses, waterfront activity, and views of nearby Mount Baker. 4 Beds | 2.5 Baths | 3041 sq. Ft.
3 Beds | 2.25 Baths | 2832 sq. Ft.
3 Beds | 2 Baths | 1836 sq. Ft.
5 Beds | 3.25 Baths | 3922 sq. Ft.
3 Beds | 2.5 Baths | 2038 sq. Ft.